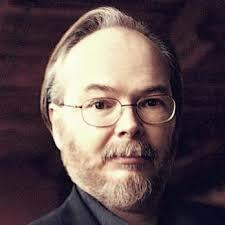 Nobody really knew just how short of a time Walter Becker had left after he was diagnosed with an extremely aggressive form of esophageal cancer. Becker died on September 3 even though earlier word had him recovering from a procedure and getting ready again to perform. On Wednesday (November 15), Rolling Stone published a letter from Delia Becker giving a deeper insight into the battle that was fought. She wrote "The cancer was detected during one of his annual medical checkups and its presence came as a grim surprise to Walter, his doctors and to me. It seemed to have come out of nowhere and had spread with terrifying speed." Becker chose to undergo a intense course of chemotherapy at Sloan Kettering in New York but the combination of the very aggressive disease and the chemotherapy for his body to endure and he "died less than four months after the cancer was detected." She added "Walter passed peacefully in our New York City home, surrounded by his family, his music, and a blustery rainstorm — one of his favorite sounds — blowing outside the window. In keeping with his wishes, he was cremated without ceremony or memorial in New York City." Becker was 67 and left a legacy of some of the best jazz-flavored rock ever recorded.